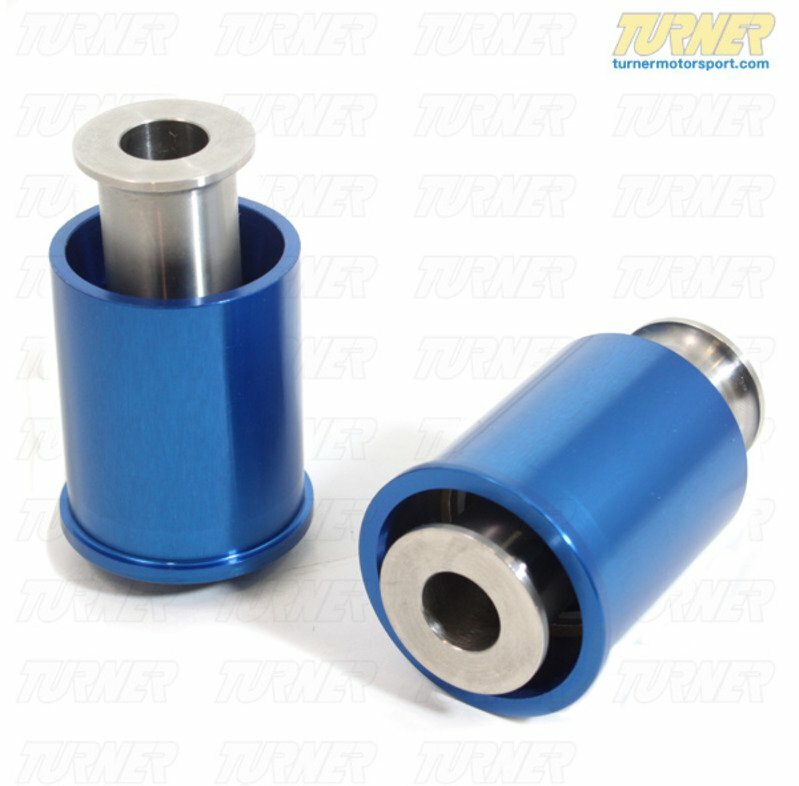 TMS rear subframe bearings are designed to limit rear control arm movement relative to the subframe. The stock BMW subframe bushings are made out of rubber, which allows variance in suspension position due to deformation and compression. A race car needs to have all suspension points remain in place for proper setup. 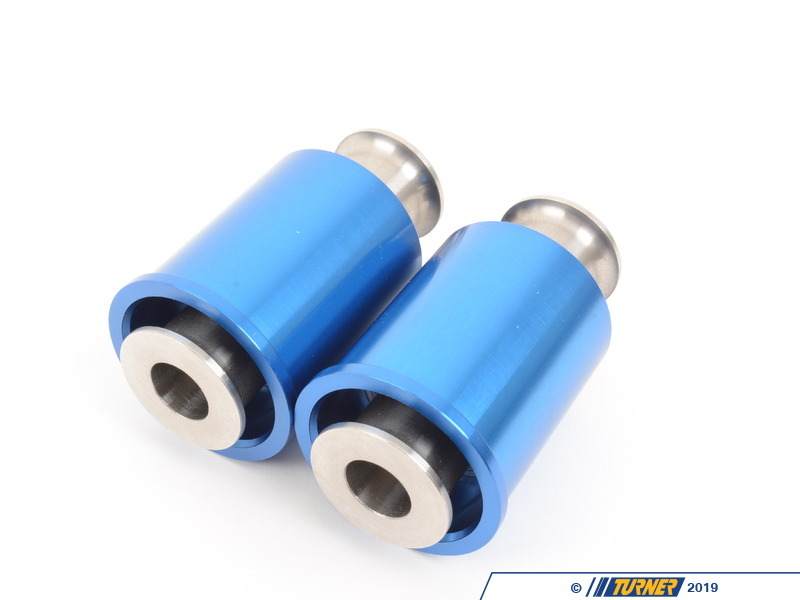 By using high grade aircraft aluminum alloy and high performance race bearings, the TMS bushing replacements are both lightweight and strong. The casing is designed so that if maximum motion occurs, the load will be evenly distributed throughout the casing. Our flanges are designed to spread the load on the subframe and limit movement. The bearing we use is an extra wide race bearing to distribute the load over a broader area. Each piece is anodized or nickel plated to withstand corrosion. 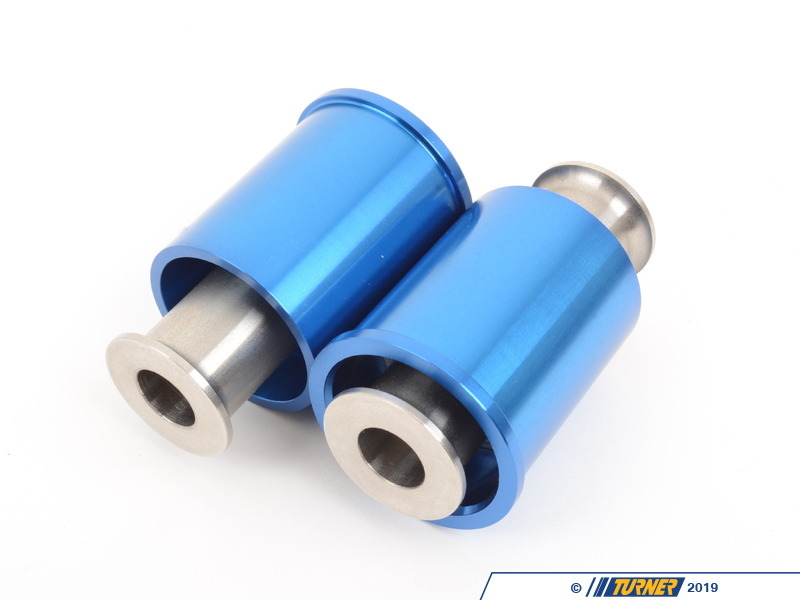 These bushings are a perfect compliment to the TMS lower camber arms.